Founded in 1979 in New York City, the Institute is a non-profit organization whose mission is to improve the quality of life of the Puerto Rican/ Hispanic elderly, a rapidly growing and diverse population. The collection consists of institutional documents, including fact sheets, information on services, conference materials, health care pamphlets, an issue of the institute’s newspaper El Pregonero and a pamphlet on scams printed by the local government. 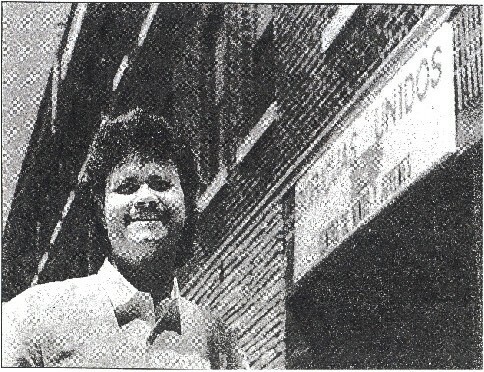 Culled primarily from the International Ladies Garment Workers Union (ILGWU) library, the collection includes statistical reports, newsletters and clippings documenting the economic development of Puerto Rico and, in part, the diaspora of workers who migrated from the island to the United States. An extensive microfilm collection documenting left-wing social movements for justice, independence and human rights in Puerto Rico and the United States during the 20th century. The collection consists of periodicals, newsletters, pamphlets, and other documents representing multiple organizations and individuals who advocated for Puerto Rican independence and issues of labor, feminism and human rights. This collection contains documents originating from Puerto Rico, as well as communities in New York, Chicago, Hartford and California. Also included are materials that document the participation of progressive religious organizations in the cause for independence and social justice, as well as other groups that were in solidarity with these causes internationally. This collection provides rich material for researchers and can serve as an introduction into the complex history of the organizations and movements that composed the Puerto Rican left/ independence struggle. In many cases, there is no other source of documentation for these groups. Available on Microfilm. 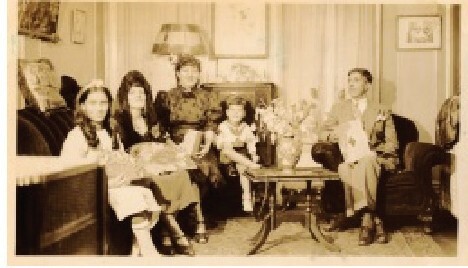 The Joffre-Sureda Family was a middle-class family from Mayagüez, Puerto Rico who migrated to New York and New Jersey. The scrapbook includes family photographs, mostly of Theresa Joffre and her son, Pedro Antonio, clippings, flyers, invitations and greeting cards, correspondence and other mementos. 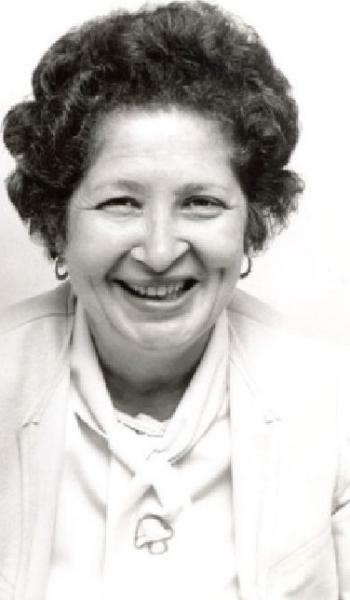 Julia Jorge has devoted most of her life to the labor movement and union activities. 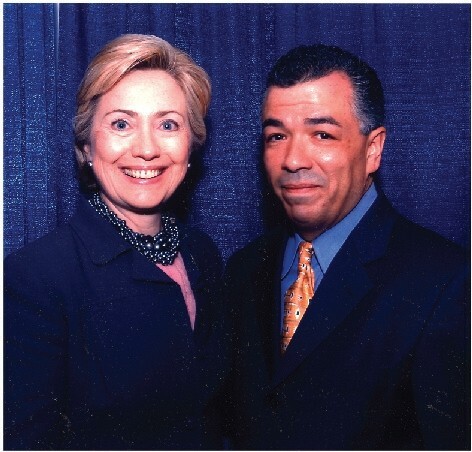 Jorge remains an active member of the Labor Council for Latin American Advancement and the Hispanic Labor Committee. Her papers contain photographs, clippings and newsletters, among other items. La Luz is a longtime social activist in the Hispanic community and a specialist in labor education programs for the Hispanic trade unionists at the School of Labor and Industrial Relations at Michigan State University. He was also the Socialist Party Chairman in Connecticut. The collection consists of documents, including writings by La Luz and his involvement in the trial of José Torres Cruz and José A. Torres Vega, as well as correspondence, newspaper articles and miscellaneous bulletins, reports and conference materials. This collection is comprised of materials documenting Hispanic labor organizations and labor leaders. It contains the papers of Edwin López, former business agent for Local 3 of the International Brotherhood of Electrical Workers (I.B.E.W. ); José López, IBEW member and founder of the Santiago Iglesias Educational Society; Efraín Díaz, IBEW member; the Santiago Iglesias Educational Society, one of the first Hispanic labor organizations established; labor organizers Edgar de Jesús and José La Luz; and over thirty oral history interviews with labor leaders and organizers, as well as photographs, newsletters, anniversary books, audio and video tapes of activities. Collection contains 32 buttons chronicling the Puerto Rican left. Also included are a series of stamps dating from Puerto Rico’s Spanish colonial period, two Puerto Rican flags, numerous posters that document the Puerto Rican left and El Museo del Barrio, as well as calendars and instruction materials of Puerto Rican history. 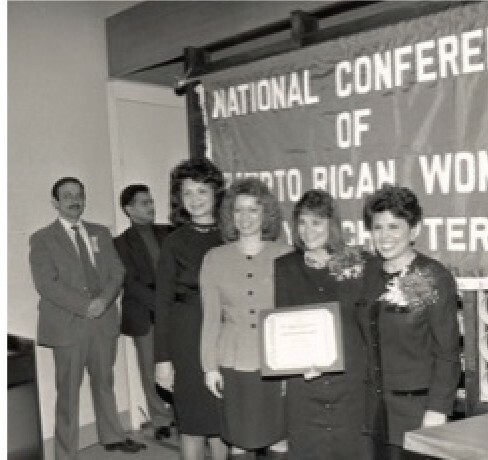 The National Convention of Puerto Rican Women (NACOPRW) promotes the equal participation of Puerto Rican/ Hispanic women in all aspects of life in the U.S. 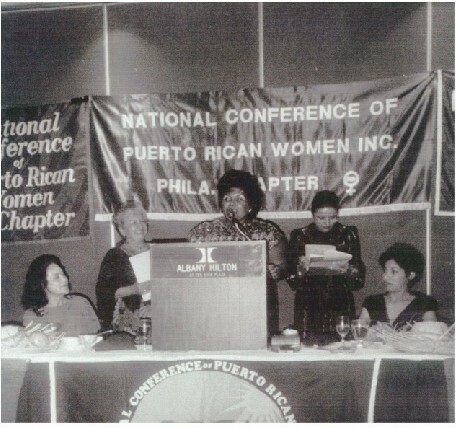 Founded in 1972 in Washington, D.C, the organization now has 11 chapters throughout the U.S. and Puerto Rico. 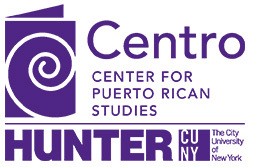 Centro holds the New York City chapter records that contain reports, minutes, press releases and some photographs. The collection consists of 8 audiocassette interviews conducted by Michael Lapp with several Migration Division officers, including Luis Cardona, Joseph Monserrat, Director from 1951 to 1969, and Alan Perl, the lawyer responsible for the seasonal farm workers’ contracts negotiated by the Division. This collection complements the OGPRUS Migration Division Records. The collection consists of artifacts by the artist, including a piece on the Three Kings, as well as a piece called Vejigante, both made from papier mâché on a wooden base. 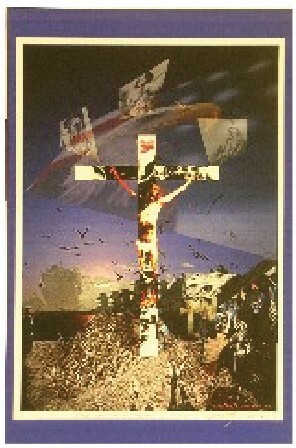 There is a digital print entitled The New Millenium, featuring surreal imagery of a man on a cross with a Coca-Cola symbol on it, and a poster titled Haciendo Patria, which features Puerto Rican Nationalist Leader Pedro Albizu Campos. Acclaimed Puerto Rican poet, playwright, performer, educator and community leader. 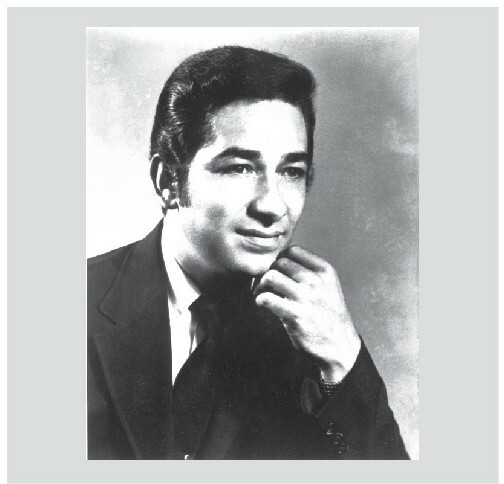 Collection provides insight into Laviera’s life and career, as well as into the Nuyorican poetry movement, of which he was an early member. Consists of correspondence, manuscripts, typescripts, notebooks, press clippings, articles, flyers, event programs, posters, photographs, and audio and video recordings. Playwrighter. Contains The Great Mambo Dancer, a two act play by Lou de Lemos copyrighted in 1979. The Literary Collection is comprised of literary works from five Puerto Rican writers; Jack Agüeros, Sandra Maria Esteves, Victor Hernández Cruz, Lou de Lemos, and Santos Pi, includes plays, poetry, and Mainland by Victor Hernández Cruz. The Long Island Historical Society initiated the Puerto Rican Oral History Project in 1973. Using funds from the New York State Council on the Arts, over 75 interviews were conducted documenting the experiences of Brooklyn residents who arrived from Puerto Rico between 1917 and 1940. The original audio interviews remain at the Brooklyn Historical Society. Centro staff transcribed all of the audiotapes as a result of its own oral history project. Transcriptions donated in kind to the Brooklyn Historical Society. Community leader and executive director of ASPIRA of New York, Inc. Anthony López demonstrated commitment to educational opportunity and leadership development for Latino youth. The papers document López’s early experiences in leadership positions, organizational records, as well as a collection of family photographs. The collection consists of letters, clippings, flyers, memoranda, minutes, reports, photographs, proposals, programs, newsletters and notes. 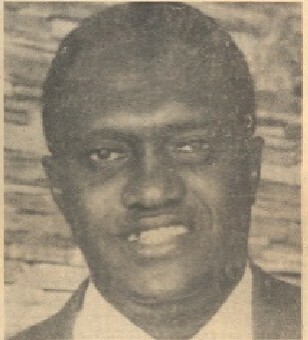 Trade unionist and member of the International Brotherhood of Electrical Workers (I.B.E.W. 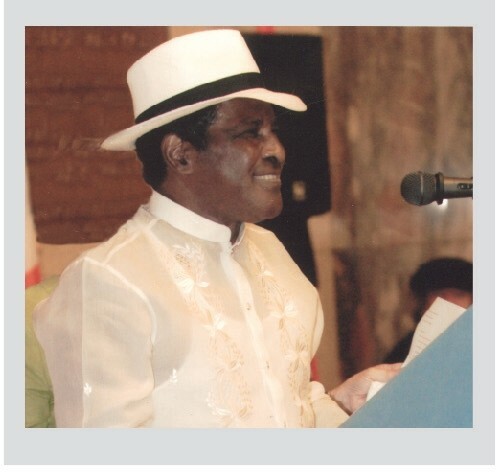 ), where he served as business representative and national political coordinator. López was also chapter manager and executive secretary of the New York City chapter of National Electrical Contractors Association (NECA). The collection includes correspondence, photographs, newspaper clippings, journals, audiocassettes, videotapes and legal documents. Former field representative for the AFL-CIO in New York and member of the 65th Infantry during the Korean War. Collection contains biographical information, documents related to the Hispanic Labor Committee, the Congressional Hispanic Caucus and the Santiago Iglesias Education Society, identification cards, correspondence and photographs. Includes 6 videos documenting the activities of the Santiago Iglesias Education Society. 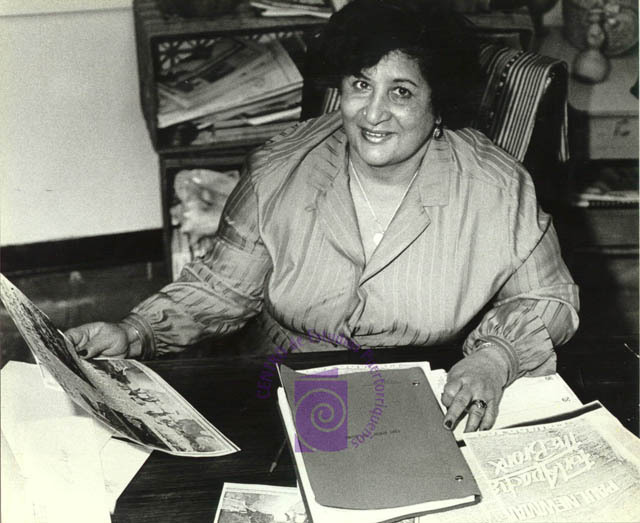 Library administrator, among the first Puerto Rican librarians in the New York Public Library system (NYPL) and a pioneer in providing services and creating programs for underserved communities. The collection is a valuable source of information on the programs developed by NYPL to address the needs of its Puerto Rican and Latino constituents, her activist sister, Evelina López Antonetty, and librarian and folklorist, Pura Belpré. Notable among the materials are those related to the South Bronx Project and to the puppet theater directed by Pura Belpré. The collection complements the Pura Belpré Papers and highlights how closely the two women worked together. The types of documents included are letters, news clippings, photographs, audio and videocassettes, scrapbooks and play scripts. 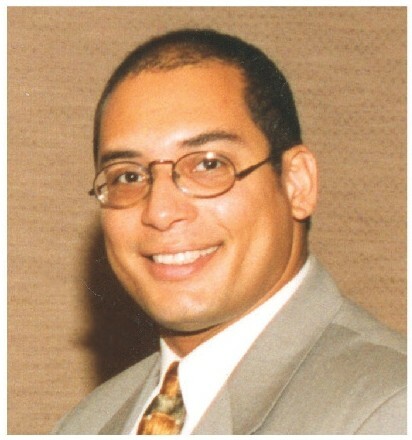 Founder and executive director of United Bronx Parents. She was a forceful, articulate and persuasive woman, often referred to as the "hell lady of the Bronx." She was widely respected for her ability to work with different groups throughout the city and for her organizing skills. Her political savvy and energetic efforts kept United Bronx Parents strong and effective even in the most difficult times. Her influence was felt throughout the Puerto Rican community and she has been an inspiration and a model for the younger Puerto Rican leadership in New York City. To some extent, the United Bronx Parents Records also document the career of Evelina López Antonetty. 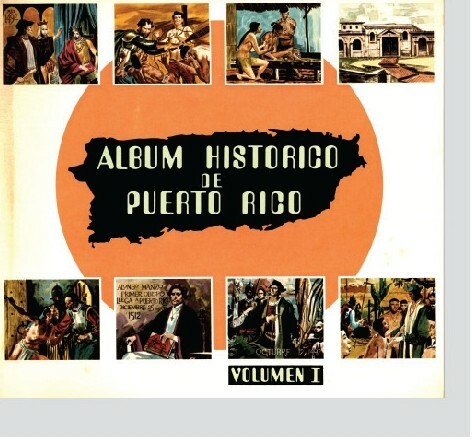 Artificial collection consisting of over 650 LP records by 400 Puerto Rican and Latin American musicians donated by Ariel Ruiz, Amilcar Tirado, Anibal Felix, Diana Caballero, William Felix, Pedro Juan Hernandez and others. An activist for the school decentralization movement and member of EQUAL, an organization devoted to improving and integrating New York City public schools. Ellen Lurie worked for seven years as director of the Parent Leadership Training Institute at the United Bronx Parents, Inc. (UBP). The collection contains materials that document efforts to integrate and aid the burgeoning Puerto Rican population of East Harlem in the early 1950s. Among these are papers on Americans for Democratic Action, an East side community affairs committee that sought to create programs for the local Puerto Rican community, and the East Harlem Project, which focused on schooling issues. Other documents of interest include a proposal from ASPIRA of New York, Inc. and files on the People’s Board of Education, whose members included Evelina López Antonetty, founder of UBP. 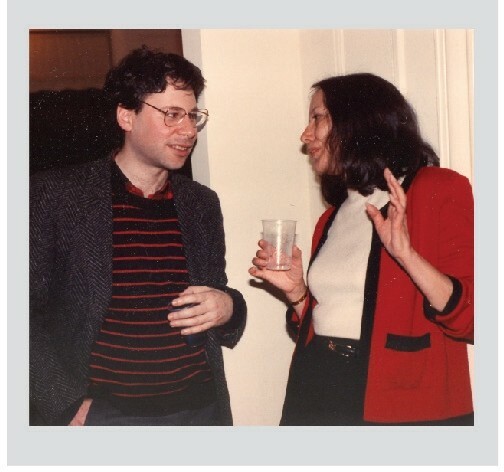 The papers also contain information on Lurie’s work in the Washington Heights section of Manhattan at a time when a significant population of Puerto Ricans still resided there. The collection contains photographs, newspaper clippings and books. Among the individuals covered are Juan Luyanda Fernández, a high jumper who competed internationally for Puerto Rico, and his cousin Dalilah Torres Fernández, who migrated to the U.S. in the 1960s. The collection focuses on family activities in New York and Puerto Rico.